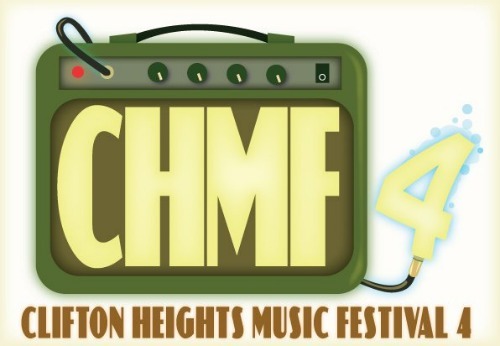 Local music fans will get the chance to see over 80 performances this weekend as the Clifton Heights Music Festival makes its return. For the fourth installment, this Friday and Saturday (April 1-2), the CHMF will feature a variety of MCs, comics, and street performances in addition to more live bands and artists, and has grown to include seven venues: Rohs Street Cafe, Baba Budan’s Coffeehouse and Bar, Uncle Woody’s Pub, Mac’s Pizza Pub, Christy’s Biergarten, Murphy’s Pub and The Mad Frog. Some of the artists include You, You’re Awesome, Josiah Wolf (of Why?) and Liz Hodson, Walk the Moon, No No Knots and The Harlequins. The festival also includes some regional artists such as Candidate from Lexington, KY and The Ridges from Athens, OH. The Clifton Heights Music Festival started in October 2009 with just 35 bands. Over 7,500 people have attended the first three festivals, and the CHMF continues to grow. “Our attendance…is a testament to our belief that neighbors coming out to support what their neighbors create has much worth, and can bring a community together in a positive way,” says founder and director, Rome Ntukogu. Tickets are just $5 for one day or $10 for the full two-day festival when purchased in advance. Tickets will also be available at each of the venues for $6/$12. You can view the full schedule of all performances and a map of the venues at the CHMF website.